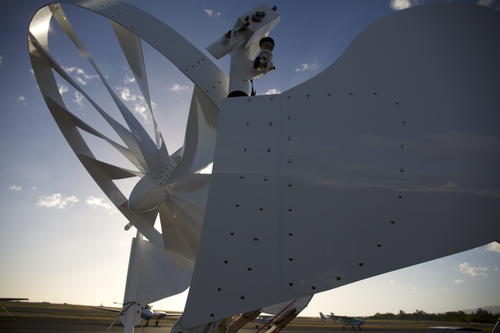 NPC - This heartbreaking image is yet another reminder that we must embrace change and new innovative, clean energy technologies if we are to halt the destruction of our fragile eco system and improve the lives of all living beings on our planet. 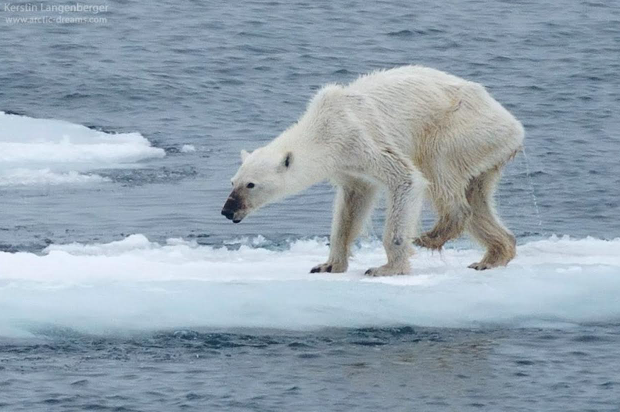 Photo of frail polar bear demonstrates the tragedy unfolding in the arctic. The Arctic winter comes and goes — but ever so differently as warming trends prevail. Increasing temperatures and glacial caving continue as Mother Nature gets hotter — at the top of our world as elsewhere.